Will There Be A Richard Gutierrez-Angel Locsin Love Team Reunion? When Angel Locsin made her surprise reappearance on La Luna Sangre on Thursday night, viewers immediately took their (very strong) opinions online. 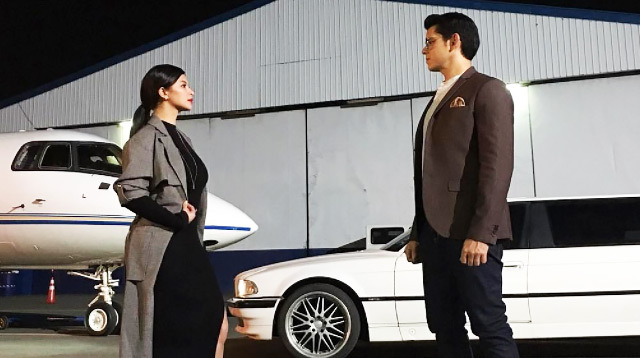 The scene showed Angel's character, a mysterious woman named Jacintha Magsaysay, coming face-to-face with Richard Gutierrez's Sandrino. This shot seriously brings us back to the mid-2000s! When they were still both under the Kapuso network, Richard and Angel were paired in the top-rating fantasy series Mulawin in 2004. From then, they starred in a slew of movies until 2007—right before Angel moved to ABS-CBN. Fresh from her network switch, Angel starred in Lobo, alongside Piolo Pascual, in 2008. Angel was then paired with John Lloyd Cruz in its sequel, Imortal, which aired from October 2010 to April 2011. In June 2017, Angel and JLC made guest appearances on La Luna Sangre, the third installment of the Lobo series, where both their characters were killed off on the pilot week of the show. Does this "chance" meeting of Richard and Angel mean something more for their characters? A renewed love team, perhaps?